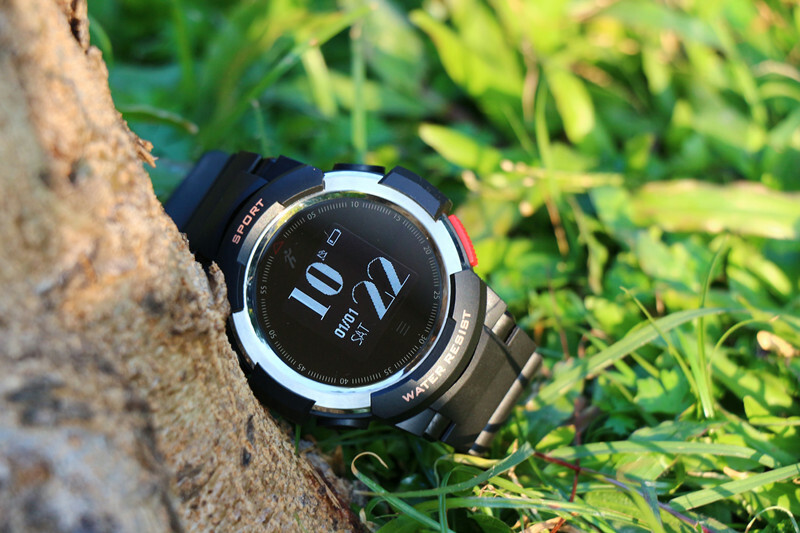 Huawei Watch GT vs No.1 S10 smart watch Review – NO.1 Smartwatch, start your smart life. 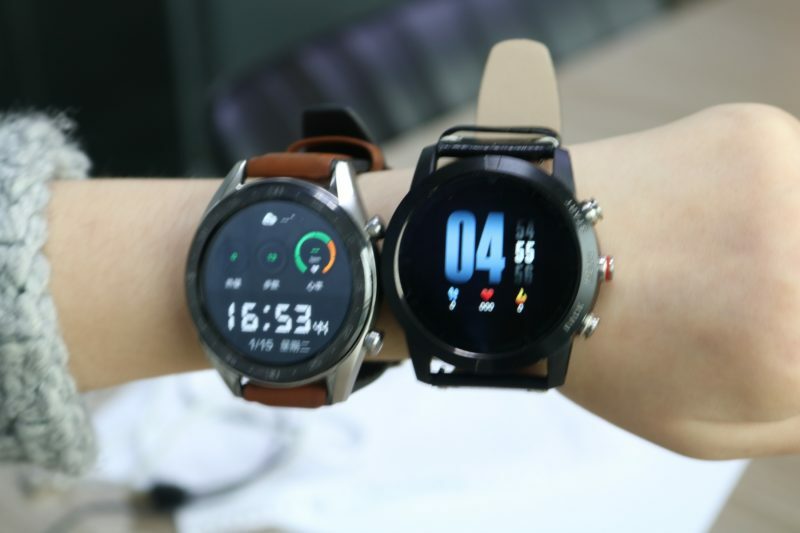 The debut of LightOS , Huawei’s proprietary operating system that leaps from its fitness tracker to one of its smart watch for the first time.Light OS offers up an alternative for fans of smart watch.It expects users to interact with with the watch GT. 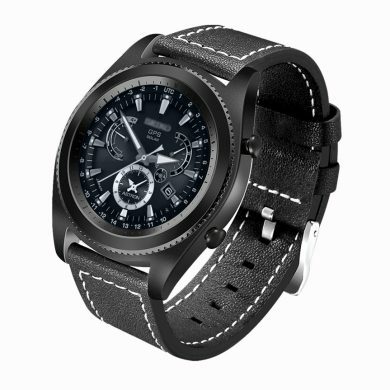 No.1 S10 sits in the same carriage as the latest wearable watch from Huawei. 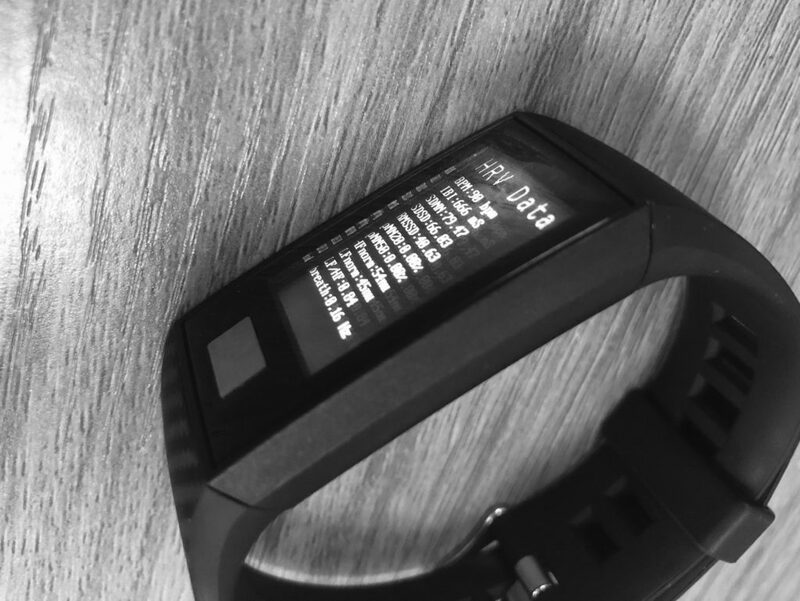 Let’s find out more details. 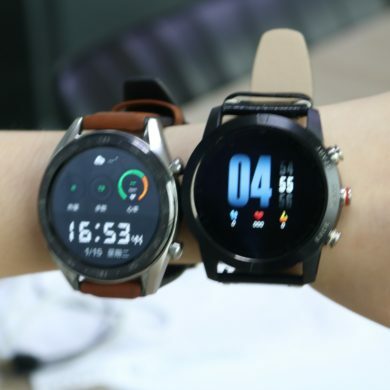 There are two variants of Huawei watch GT, the sport(black body and black silicone strap) and the classic(sliver body and leather strap with silicone on the inside).The watch GT was only released in November 2018,the price is set about $230. 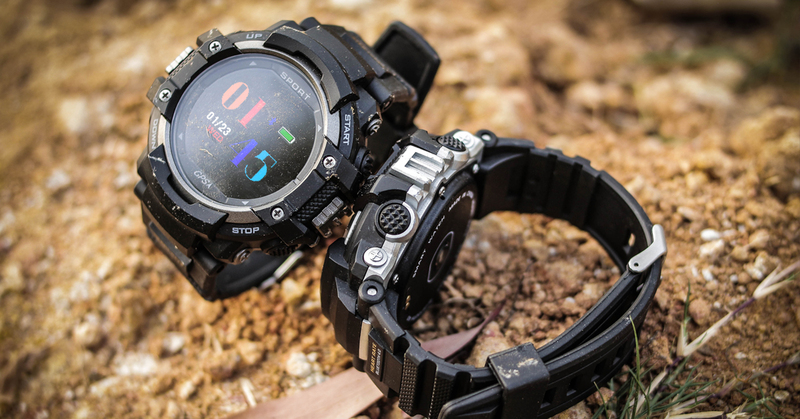 No.1 S10 smart watch ups the ante with more bands options,classic look for stainless steel strap,sporty look for silicone band,casual look for leather strap.But they all looks good on the wrist. 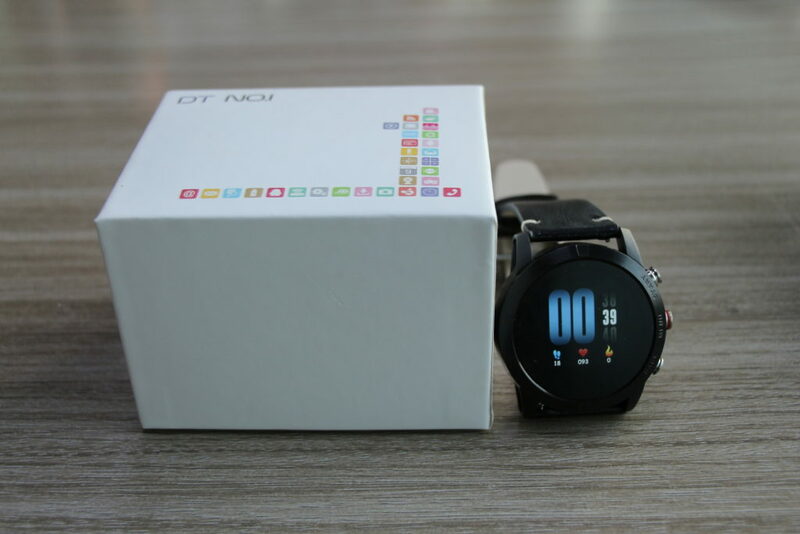 No.1 S10 smart watch was released in December 2018, the price is about $40. 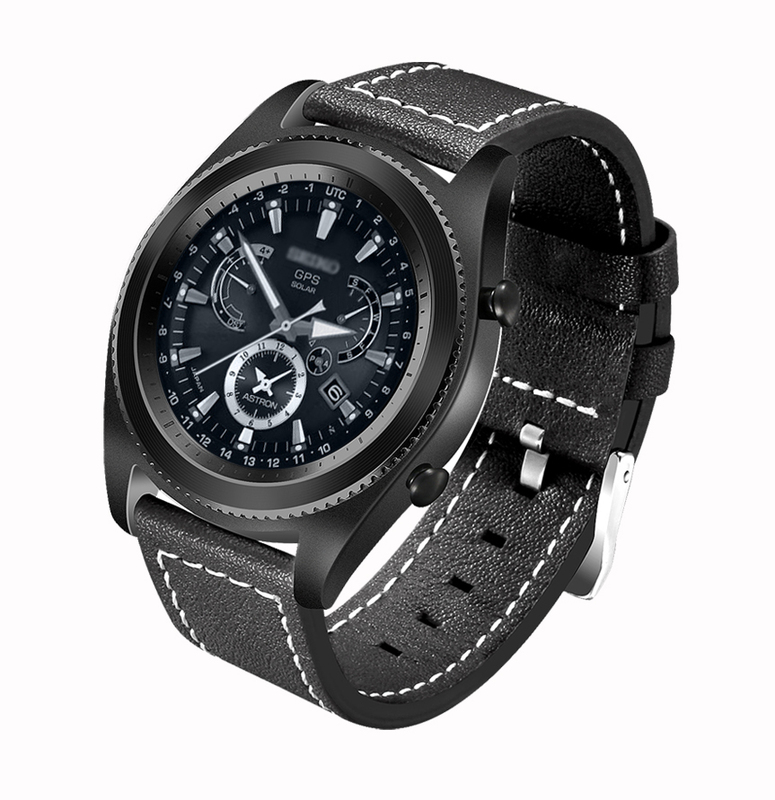 Huawei watch GT is made of a combination of ceramic and metal that looks premium on the wrist.The bezel has numbers around,it gives a classic feel.It’s slim at only 10.6mm thick,1.39 inch with 454×454 AMOLED touch screen.The weight is 46g. 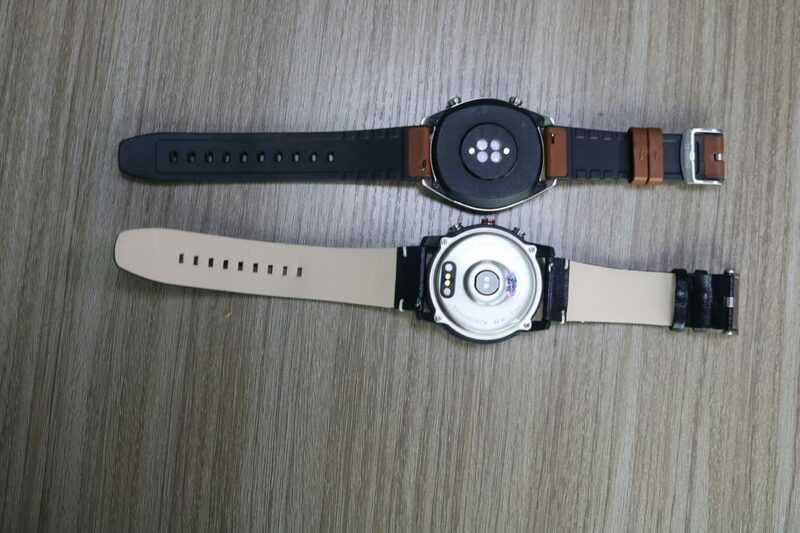 The strap of our review model is made of brown leather.You can get around the watch by using two buttons sitting on the right side of the bezel.Swiping up from the home screen gives you a quick menu,letting you turn on do not disturb,screen lock,find your phone or Always on screen .Swiping down gives you a look at your unread notifications.These can not be respond to.If you switch continuously heart rate monitoring to always on, you get a really neat graph detailed beats. 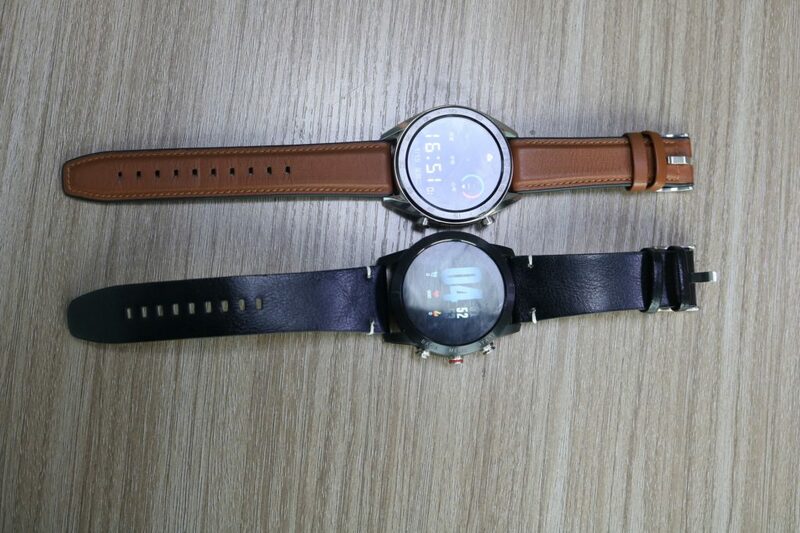 The main case of No.1 S10 smart watch comes in plastic (you can choose sliver body one but more heavier).It’s big at 15mm thick,1.3 inch with 240×240 touch screen ,the weight is 53g. You can start the watch by 3 buttons on the right bezel. 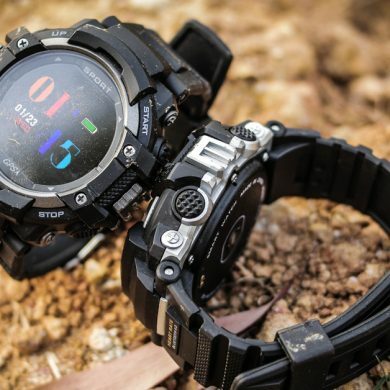 The strap is detachable, you can choose from 20mm strap online.With the one at 2’clock position for start,the second at 3 o’clock for menu,the third at 4 o’clock for go back.Swipe up or down to to setting,swipe right or left to the main menu. 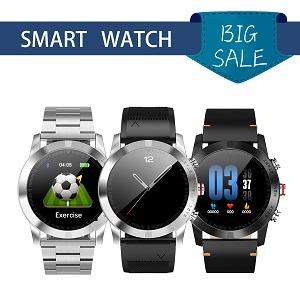 Both are focused on the essentials,these are no support for third party app and stream music by bluetooth. 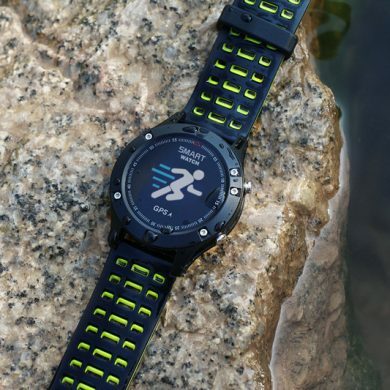 Huawei watch GT has 4 main screens ,home,heart rate, weather and activity.It comes with GPS on board ,we found it connected extremely quickly,but your sport data can’t be shared with third-party app such as Strava. 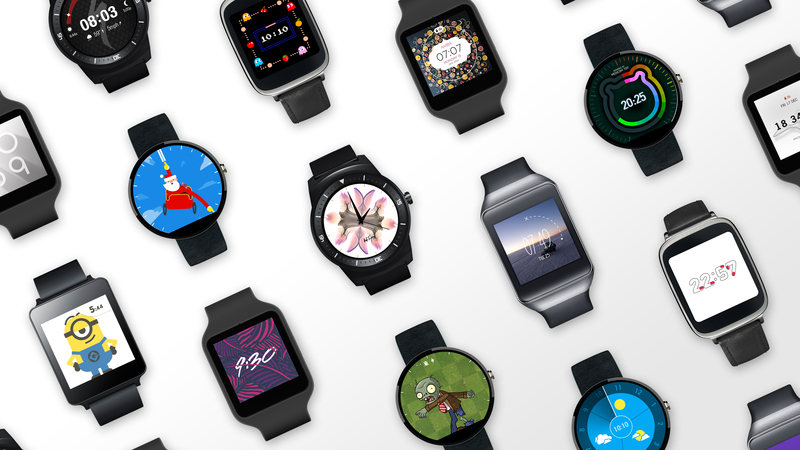 Huawei has 12 watch faces to choose, though unfortunately these are not customizable. 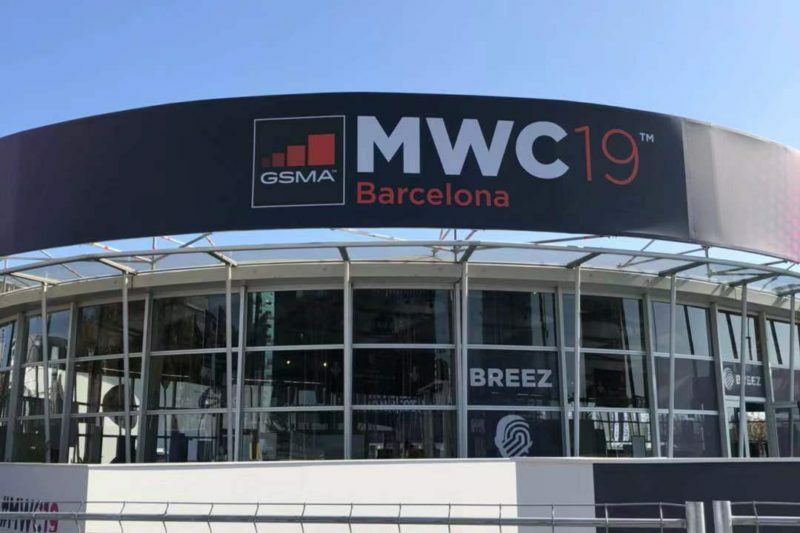 As for workout, Huawei has 11 modes for your daily use,including an”other” mode, you can look at your workout history or access other features such as flashlight.The data on offer through Huawei health app,breathing quality is an interesting part to look at. 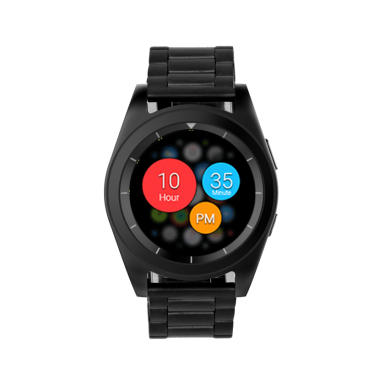 No.1 S10 smart watch has 4 pre-installed watch faces,you can’t customize your watch faces either.It supports a new app Wearhealth. 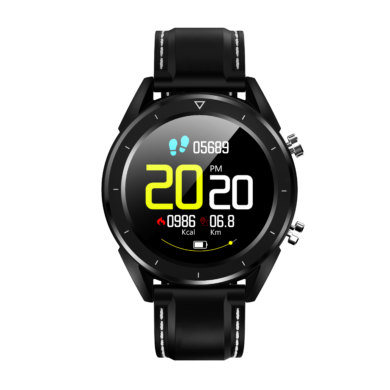 Not only do you get averages for your day,month,but also you get data for individual weeks.As for workout,8 sport modes,it also covers sleep,activity and day time use without any hassle.This is great that they update a blood pressure feature and match up nicely with heart rate monitor, stopwatch and IP68 waterproof. 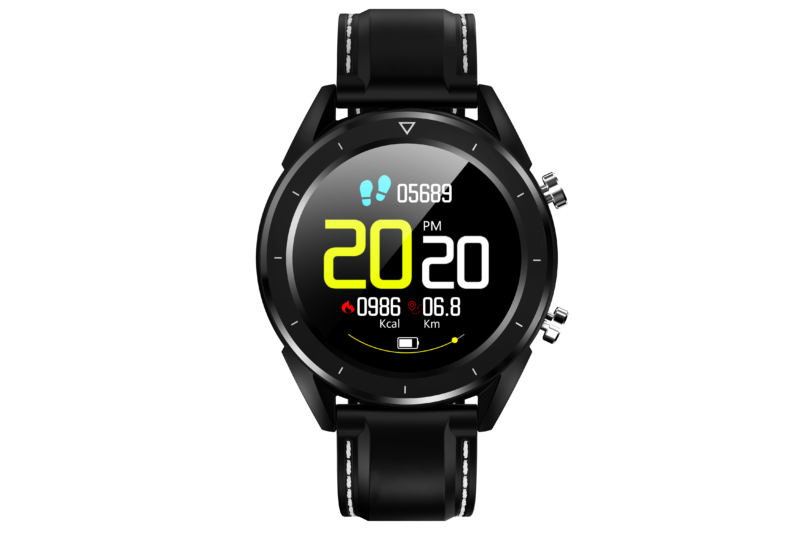 Steps and calories are taken throughout day and night.The watch delivers notifications and incoming calls,they can’t be respond to. 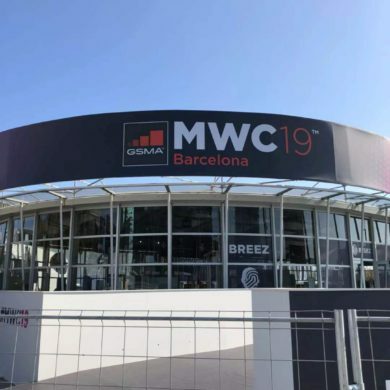 Huawei makes a big promise in the battery ,up to 2 weeks with normal, a complete day of GPS tracking and up to a month with features like always-on display and GPS turned off. 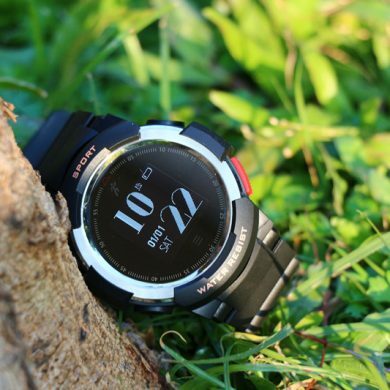 The 350mah battery of NO.1 S10 smart watch ensures your daily use for 10-14 days and a month always-on screen.Both of them use magnetic charge. 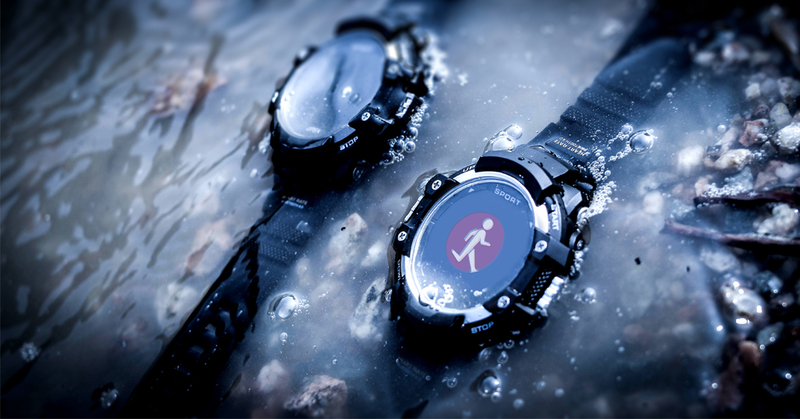 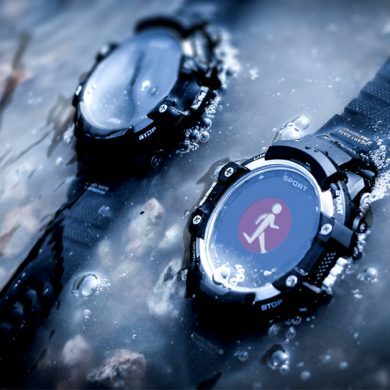 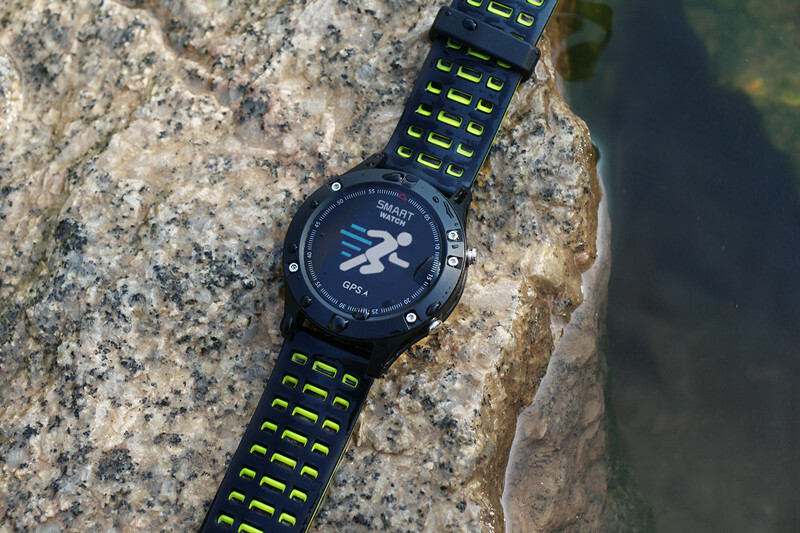 Both of them are designed for a fitness foucused device that also looks good on the wrist.